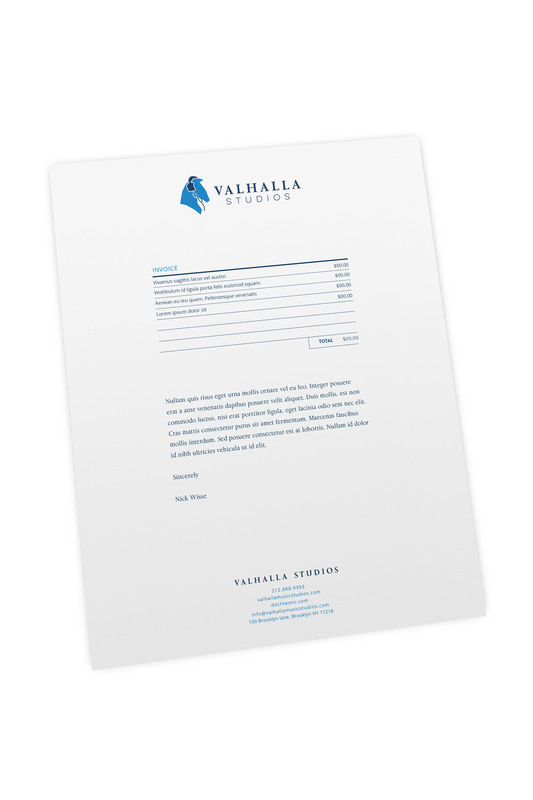 Valhalla Studios Came to us with a distinct challenge. In the saturated market of small recording studios in Brooklyn, Valhalla Studios wanted to start strong with a distinct visual style and customer experience that will set them apart from the very beginning. As opposed to some of the other small studios in Brooklyn that market themselves based on their equipment list and a photo of their space, Valhalla Studios was created as a place that fosters and complement the creative process of the artists that record there. We made sure that this was an important part of the brand and that the music and the customer were considered in every decision we made.